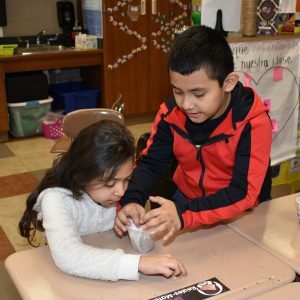 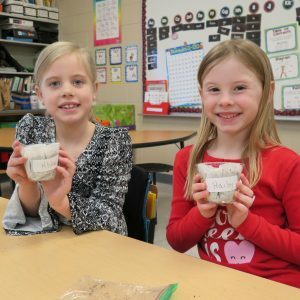 In February, nearly 3,300 first through fourth grade students throughout DeKalb County experienced unique, hands-on lessons through Ag in the Classroom (AITC) presentations. 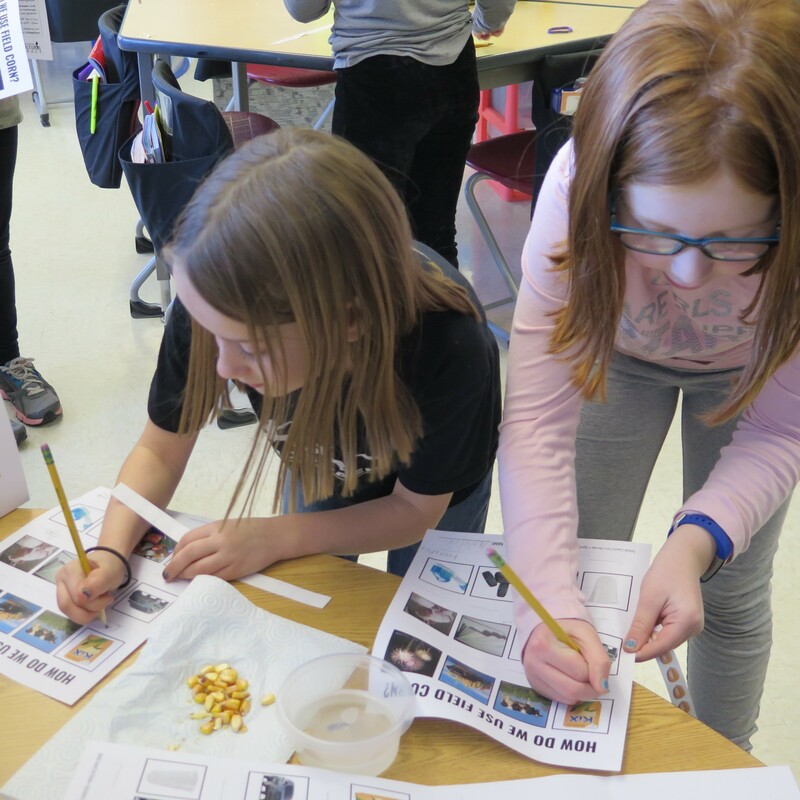 The presentations, delivered by volunteer farmers, agriculture professionals, and FFA members, focused on assorted aspects of ag including corn, dairy, and Illinois agriculture products. DeKalb County Farm Bureau has been providing AITC materials and lessons to volunteers for decades. 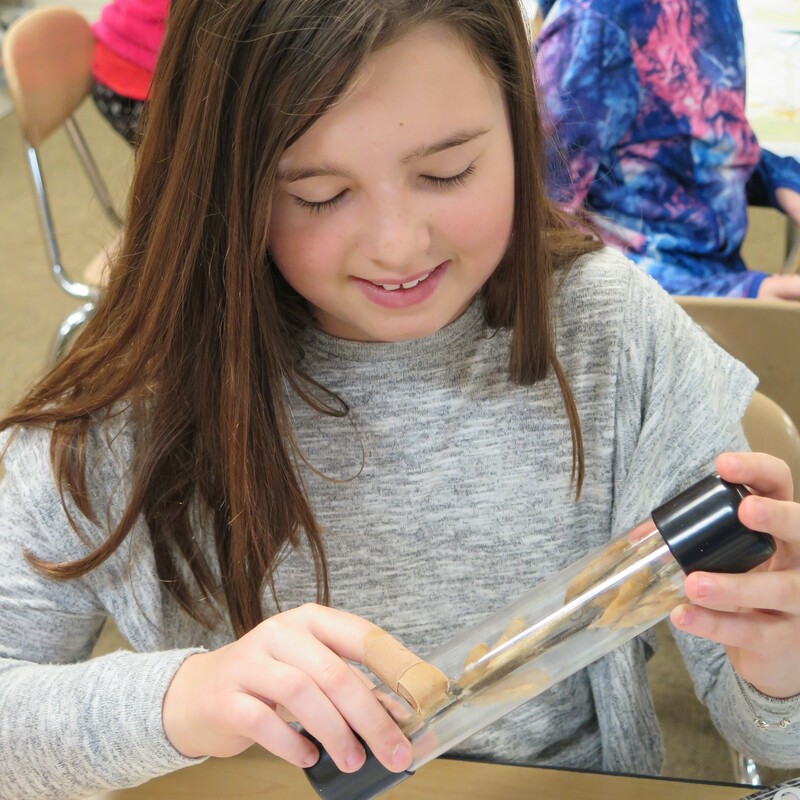 The presentations continue to provide a unique learning experience for students and generate understanding in an unconventional way. Cortland Elementary students help each other plant seeds before proudly displaying them in their classroom window. Girls at North Grove Elementary, Sycamore, can’t wait to grow the corn & soybeans they planted. 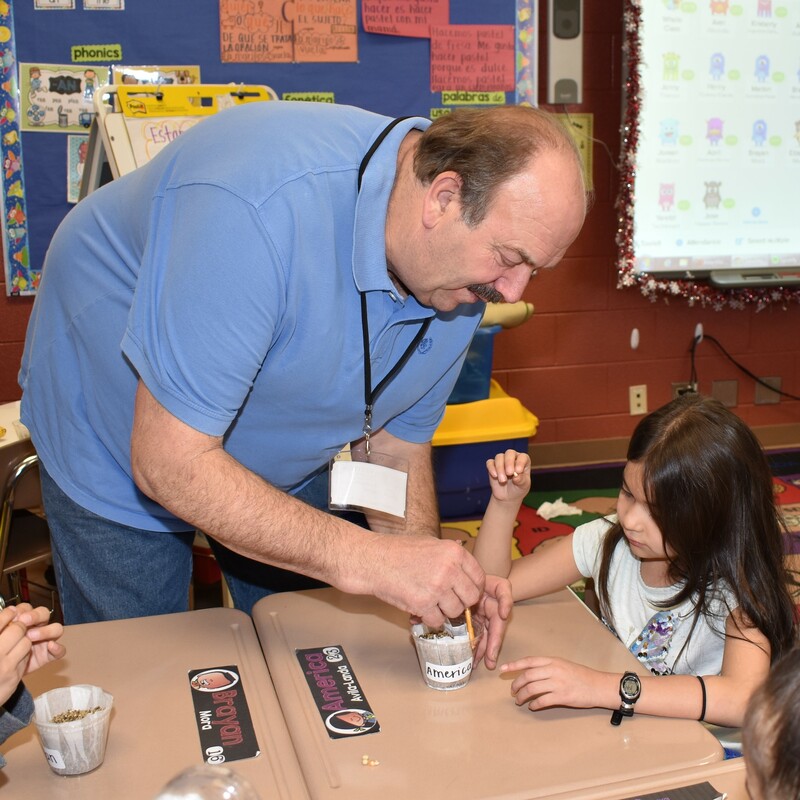 Tom Montavon helps students plant corn and soybean seeds at Cortland Elementary. 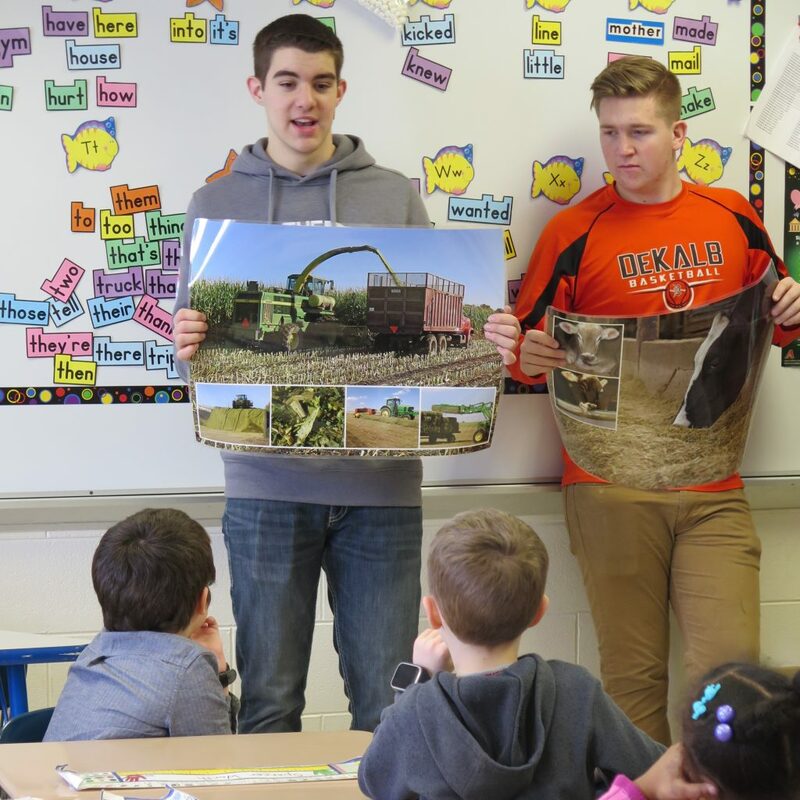 (From left) DeKalb FFA members Sawyer Willrett and Zach Barclay show Malta Elementary students images of everyday dairy farming. 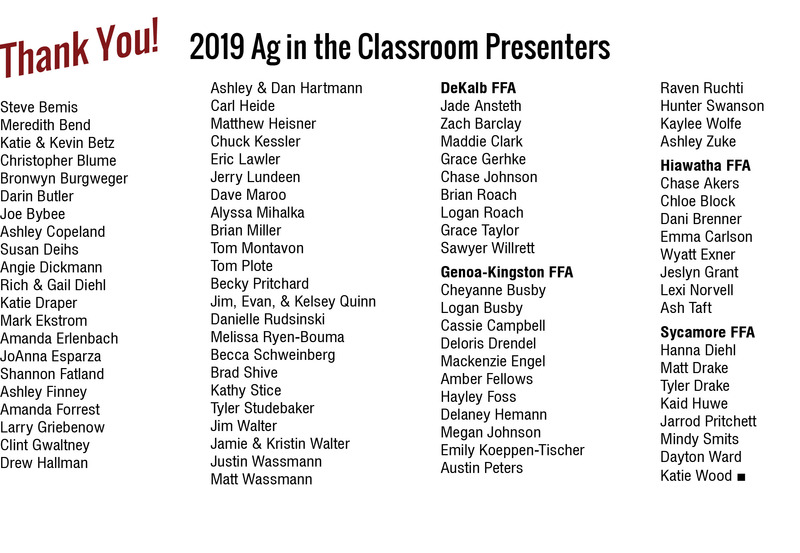 DeKalb FFA presented to 17 classrooms this year! 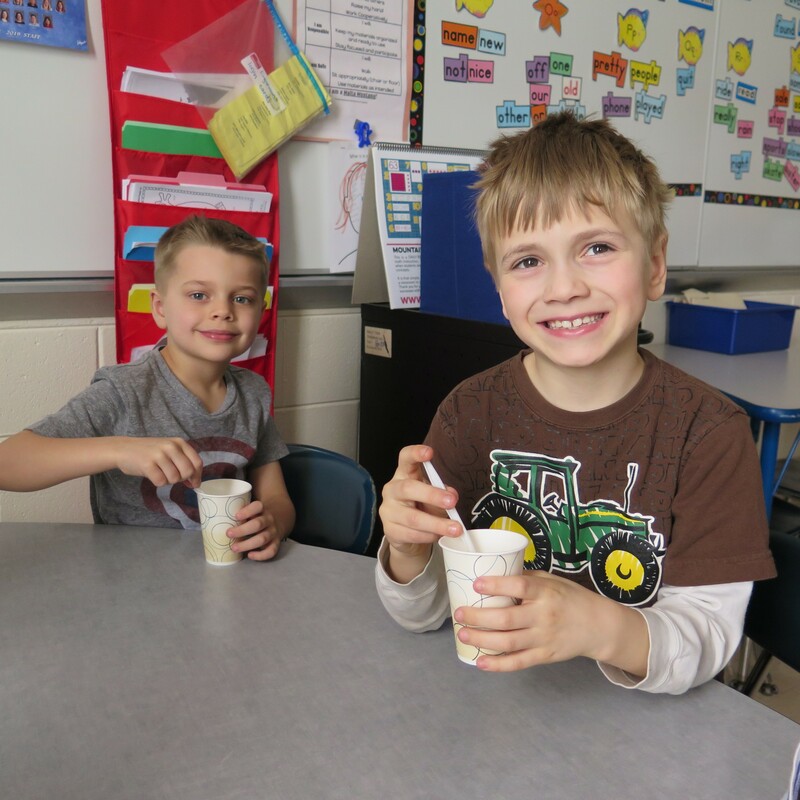 Malta Elementary students enjoy ice cream they made in class. 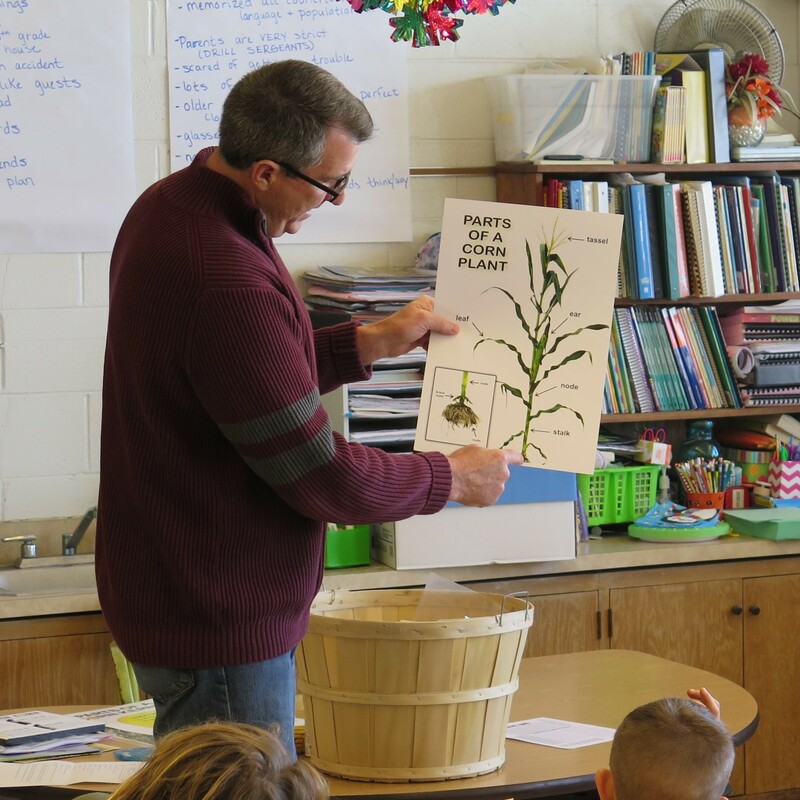 Steve Bemis shows students the anatomy of a corn stalk at Southeast Elementary, Sycamore, in the third grade lesson. 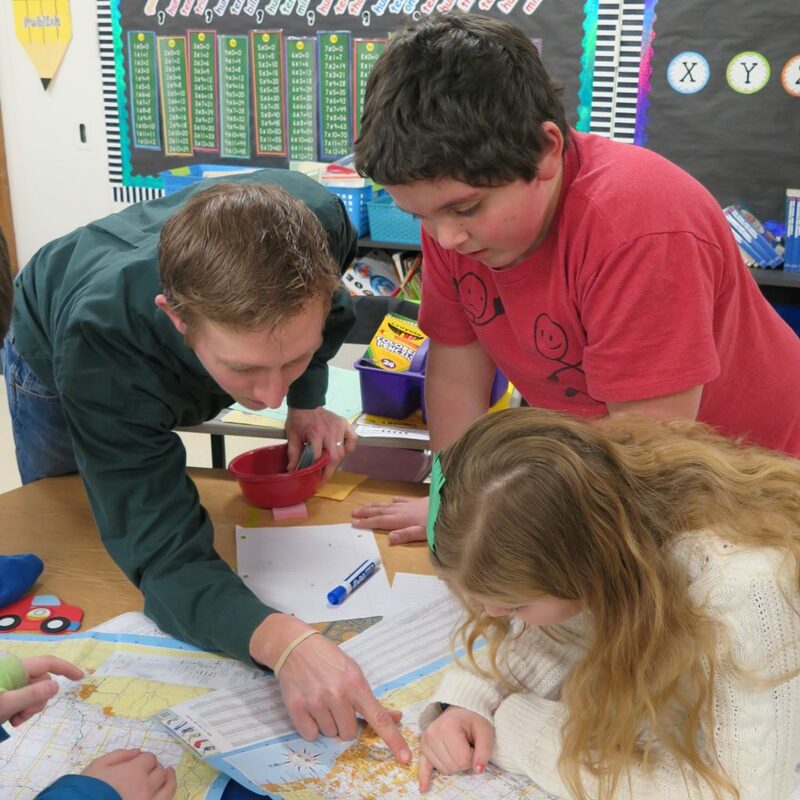 Dan Hartmann helps fourth grade students learn to use a map at North Elementary, Sycamore. 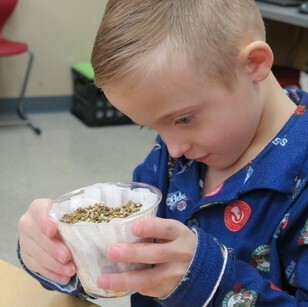 A student observes soybeans up close for the first time.